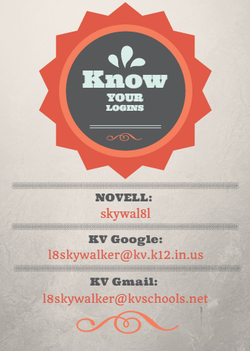 Every student at KVHS has a google account. To access it, go to the link below and enter your username. USER NAME: first initial of your first name, last number or your graduation year, and your full last name. Note: You will be prompted to change your password the first time you log in. Once you have done this, YOU must remember the password!